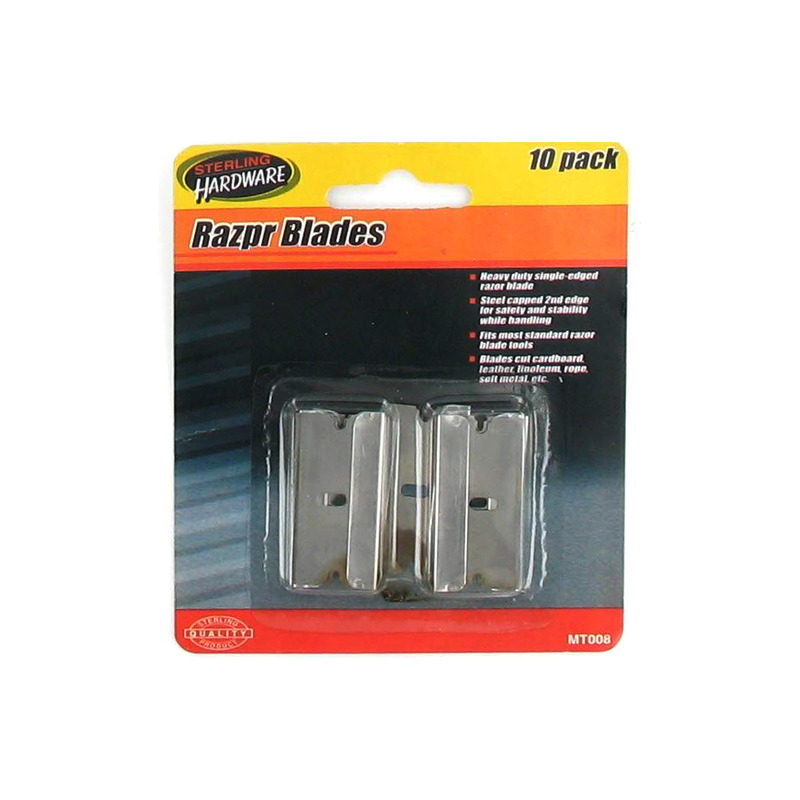 Great for cutting cardboard, leather, linoleum, rope, soft metal and more, these heavy duty razor blades are single-edged and capped for safety and stability while handling. Fits most razor blade tools. Each pack comes with 10 razors. Measures 1.5" across. Comes packaged in a blister pack. © 2019 Ultimate Distributors LLC d/b/a "Freight And Tool"